Click on photo to see it larger. Mandy's been working hard on unicycle skills, practicing after school by riding in the street in our neighborhood. She's had a chance to meet several of our neighbors, who are enjoying watching her progress from those first few lurches across the pavement. But despite our best attempts at support, before today she's been operating in a sort of vacuum. 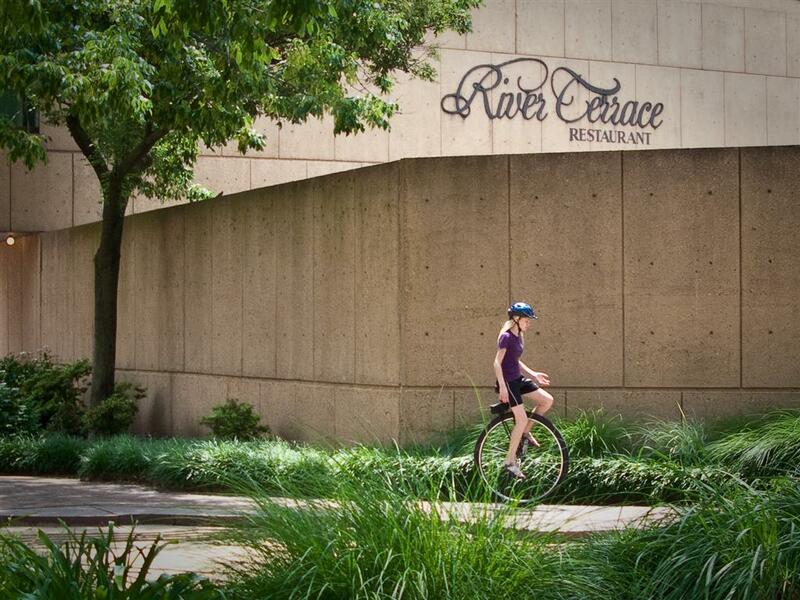 I think that, before this weekend, she was the best unicyclist she'd ever met. 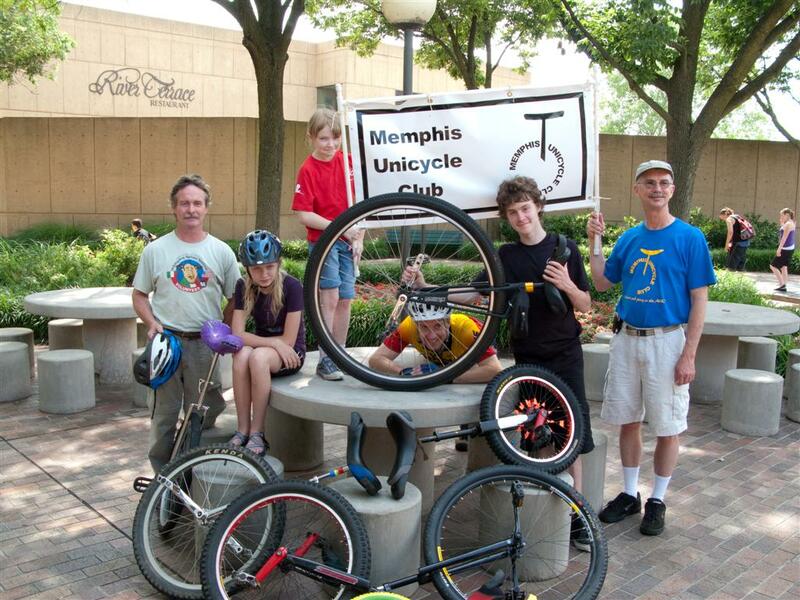 But I've been emailing with Richard (pictured here in the blue shirt, on the right), from the Memphis Unicycle Club. They meet to practice on Thursday nights, which isn't very helpful, but he agreed to let us know when they were getting together for a weekend event. 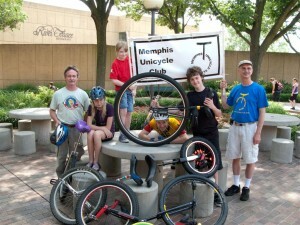 So this Sunday, we drove to Mud Island Park on the Mississippi River, where the club was participating in a bike event. The day went beautifully. 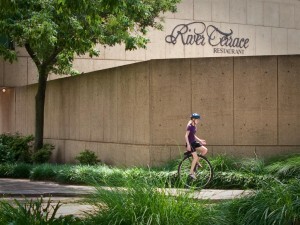 I had expected Mandy to benefit from meeting other people on one wheel, but I didn't realize how much she'd soak up. She got to try riding several different sizes and styles of uni including the 36" shown below, and was able to ask for help learning to idle. She really, really enjoyed the company of other people who could do what she wants to do. Mandy was exhausted by the time we headed home, but still asked to stop in Little Rock to play on the grounds of the Clinton Library and at Peabody Park. Bryan put together a video of both the visit with her new Memphis friends and our little detour on the way home. Thanks again to MUC for the invitation, and for being so sweet and encouraging and helpful. We hope to see you again soon!